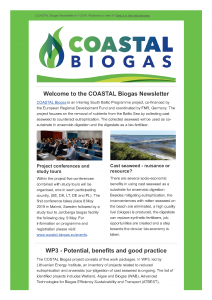 The COASTAL Biogas Newsletter will be published here. The Newsletter is distributed twice per year. Note that You have to tick the personal data processing box.